وَسَمِعْتُ صَوْتًا مِنَ السَّمَاءِ قَائِلاً لِي: اكْتُبْ: طُوبَى لِلأَمْوَاتِ الَّذِينَ يَمُوتُونَ فِي الرَّبِّ مُنْذُ الآنَ». On Tuesday March 12th, 2019 in Raleigh, NC our braver, stronger, and tougher angel Rogina who won the battle and departed to Heaven. May God repose her soul in the Paradise of Joy and grant Peace and condolences to her dad Dr. Ragee Tadrus, her mom Mervat Boules, her brother, her sister, and all their families and friends. On Thursday August 2nd, 2018 in Raleigh, NC our beloved Mrs. Wedad departed to Heaven. May God repose her soul in the Paradise of Joy and grant Peace and condolences to her sons Mr. Nabil Hanna, Miechel Hanna, and her daughter Faten Hanna and all their families and friends. On Monday June 18, 2018 in Raleigh, NC our beloved Mrs. Magda departed to Heaven. Our condolences to her family. May God repose her soul in the Paradise of joy and give Peace and comfort to all her family and friends. On Monday April 9, 2018 in Raleigh, NC our beloved Dr. Samuel departed to Heaven. May God repose his soul in the Paradise of joy and give Peace and comfort to His wife Shery George, his son Abanoub, and his daughter Madonna. On Monday January 8, 2018 our beloved Mrs. Hoda departed to Heaven. May God repose her soul in the Paradise of Joy and grant Peace and condolences to her daughter Mrs. Manar Zaki and all her family and friends. On Tuesday December 19, 2017 our beloved Eng. Karim Meshreki departed to Heaven. May God repose his soul in the Paradise of Joy and grant Peace and condolences to all his family and friends. On Monday November 27, 2017 our brother Mr. Ayad has departed to be with the Lord. Our Condolences to his children and his brother and all the family in Egypt and America. May the Lord repose his soul in the Paradise of Joy, and give Peace and comfort to his family and friends. On Wednesday March 8, 2017 in Durham, NC our fellow brother in Christ, Abanoub Emad Baselios, has departed with the Lord to Heaven. Our Condolences to his Father Mr. Emad, his mother Mrs. Safaa, and his sisters Merna and Madonna. May the Lord repose his soul in the Paradise of Joy, and give Peace and comfort to his family and friends. On Sunday October 16, 2016 in Raleigh, NC, our beloved Dr. Alfred Tadros has won his battle on earth and departed with the Lord to Heaven. Our Condolences to his wife Dr. Hoda, his daughters Mira and Monica and their families. May the Lord repose his soul in the Paradise of Joy, and give Peace and comfort to the family. On Wednesday July 27, 2016 in Raleigh, NC, our beloved Deacon Anton Rizkalla has slept in the Lord. Our Condolences to his family. May the Lord give him rest in Christ with all the Saints, repose his soul in the Paradise of joy, and give Peace to all his family. ​On Friday July 22, 2016, our beloved Dr. Mohsen Zakaria has slept in the Lord. Our Condolences to his wife Mrs. Nadia Zakaria and all the family. May God repose his soul in the Paradise of Joy and give Peace and comfort to all the family. On Friday March 11, 2016 in SC, our beloved angel and deacon Andrew Balamoun has slept in the Lord. Our Condolences to his mother Wafaa Dawoud and his brother Arsanuos Balamoun. May the Lord repose his soul in the Paradise of Joy and give Peace to all his family and friends. On Monday December 28, 2015 in Raleigh, NC beloved Mr. Mounier Guirguis has won his battle on earth and slept in the Lord. Our Condolences to his wife Evette Guirguis and his brothers Maher and Ezzat Guirguis and his sisters Magda Boutros, Mohga Abaskhroun, and Mona Guirguis. May the Lord repose his soul in the Paradise of Joy and give Peace and comfort to all the family. On Friday November 27, 2015 in Raleigh, NC, beloved Ms. Susie Hughes has slept in the Lord. Our Condolences to her son Kelly K. Hughes, her brother Ashraf Khalil and his family, her sister Jakie Khalil and her family, and her brother Ehab Khalil and his family. May the Lord repose her soul in the Paradise of Joy and give Peace to all the family. On Wednesday May 20, 2015 in Raleigh, NC beloved Eng. Mounir Rizk has won his battle on earth and departed with the Lord to Heaven. Our Condolences to his daughter Nadia Zakaria, his son Maged Halim, and his daughter Mary Mankarios and their families. May the Lord repose his soul in the Paradise of Joy with Abraham, Isaac, and Jacob, and give Peace and comfort to the family. On Wednesday March 4, 2015 beloved Eng. Naguib Youssef has slept in the Lord. Our Condolences to his wife Mrs. Lily, his daughter Mrs. Samia Saad and her husband Mr. Magdy Saad, his son Mr. Sami Youssef and wife Mrs. Gigi, his grandchildren Steven Saad and wife Crystal, Mark Saad and wife Lisa, Ramez Youssef, and Ronza Youssef. Our condolences to all the family. May God repose his soul in the Paradise of Joy and give Peace and comfort to all the family. On Wednesday February 25, 2015, beloved Mrs. Ensaf Aziz has slept in the Lord. Our condolences to her son Mr. Amel Selwanes and all his family. May the Lord give her rest with the Saints and give Peace to her family. On July 1, 2014, beloved Mrs. Madlein Ishak has slept in the Lord. Our Condolences to her son Dr. Mohsen Bahna and all his family. May God repose her soul in the Paradise of Joy and give Peace to all her family. On Fr﻿id﻿a﻿y ﻿﻿Ju﻿n﻿e﻿ ﻿27, ﻿201﻿﻿4 ﻿in Raleigh, NC, beloved Mrs. Faykah Soliman has slept in the Lord. Our Condolences to her sons Father ﻿Armia﻿ ﻿﻿Mikha﻿eil﻿ ﻿Es﻿ka﻿ndar, Adel Eskandar, Sohier Eskandar, and Ashraf Eskandar. May God repose her soul in the Paradise of ﻿Joy ﻿and give Peace to all her family. On ﻿Wednesday﻿ ﻿January ﻿15, 2014 in Raleigh, NC, beloved Mr. Matta Guirguis has slept in the Lord. Our Condolences to his wife Amira, his son Danielle, his daughter Karen, and all the family and friends. May the Lord give him rest in Christ with the Saints. On Friday January 3, 2014, ﻿beloved ﻿Ayman Sanyour has won his battle on earth and now enjoying the company of all the angels and saints. May the Lord comfort his wife Erien Fahmy Rizk and his kids Olivia, Maria, and Jolia with His Peace. On Tuesday July 23, 2013, beloved Mr. Youssef has won his battle on earth and now enjoying the company of all the angels and saints. May the Lord comfort his wife Enas Samy and his kids Mary, Antonios, and Pola with His Peace. On Thursday July 15, 2013, our beloved Mr. Mikhail Eskandar has slept in the Lord. Our Condolences to his survived wife, his sons and ﻿daughters ﻿Father ﻿Armia﻿, Mr. Adel, Mrs. Sohier, and Mr. Ashraf Eskandar. May the Lord give him rest in Christ with the Saints, repose his soul in the Paradise of joy, and give Peace to all his family. On Saturday May 25, 2013, our beloved Mrs. Souzan Ibrahim has won her battle on earth and now enjoying the company of all the angels and saints . Our Condolences to her brothers Awadallah Samaan and Younan Samman. May the Lord give her rest in Christ with the Saints, repose her soul in the Paradise of joy, and give Peace to all her family. On Tuesday April 30, 2013, our beloved Mrs. Samia Fahmy has slept in the Lord. Our Condolences to her husband Naguib Mankarious. M﻿ay the Lord give her rest in Christ with the Saints, repose her soul in the Paradise of joy, and give Peace to all her family. 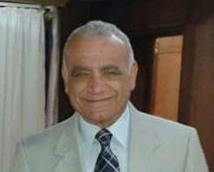 On Monday A﻿pril 8, 2013, in Egypt, our beloved Father Elia ElBaramousy has slept in the Lord. Our Condolences to his Brother in Law Father Misaeil Abu El Kheir and his sister Tasoni Wafaa. May the Lord give him rest in Christ with the Saints, repose his soul in the Paradise of joy, and give Peace to all his family and all Baramous Monastery's monks. On Thursday April 4, 2013, our beloved Mrs. Fawkeyiah Bekheit has slept in the Lord. Our Condolences to her husband Mr. Ayad Bekheit, her children, and all her family. May the Lord give her rest in Christ with the Saints and give Peace to all the family. On Wednesday March 13, 2013, in Egypt, beloved Mrs. Aleese Shaker Antoune has slept in the Lord. Our Condolences to her son Nader Iskander and his family. May the Lord give her rest in Christ with the Saints and give Peace to all the family. On Wednesday February 6, 2013, in Egypt, beloved Mrs. Ensaf Kaheel has slept in the Lord. Our Condolences to her sons Medhat Kaheel and Mamdouh Kaheel and their families. May the Lord give her rest in Christ with the Saints and give Peace to all the family. On Monday February 4, 2013, our beloved Teta Mary Boctor has slept in the Lord with a heart filled with hope in resurrection. Our Condolences to her sons Maher Guirguis and wife Deborah, Mounier and wife Evette, and Ezzat Guirguis and wife Amal, and her daughters Mohga Guirguis, Magda Boutros and husband Kamal, and Mona Hannah and husband Jacob. Also our condolences to her grandchildren, her great grandchildren, and all her loving people. May God give her rest and repose her soul in the Paradise of Joy. On Friday January 11, 2013 in Raleigh, NC, beloved Mr. George Khalil has slept in the Lord. Our Condolences to his sons Ashraf Khalil and his wife Fawzia, Ehab Khalil and his wife Elham, and his daughters Susie Khalil and Jaklien Khalil. May the Lord give him rest in Christ with the Saints. On Wednesday November 21, 2012 in Egypt, beloved Mrs. Aida Aziz, the mother of Mr. Akram Botros, has slept in the Lord and now enjoying the company of all the angels and saints. May the Lord comfort Mr. Akram, his wife Neveen, and their children Ramez and Marina with His Peace. On Friday August 31, 2012, beloved Amira Badir has won her battle On earth and now enjoying the company of all the angels and saints. May the Lord comfort her family with His Peace. On Monday July 23rd, 2012, beloved Dr. Sabah Boulis has slept in the Lord with a heart filled with hope in resurrection. May the Lord God repose his soul in the Paradise of Joy. Our Condolences to all his family and friends.